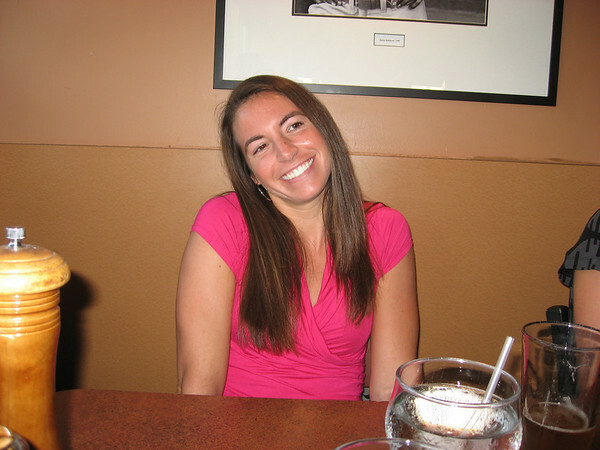 Kira pretending to be cute while we wait for our Pizza/Pasta at Amici's, before Oktoberfest by the Bay. 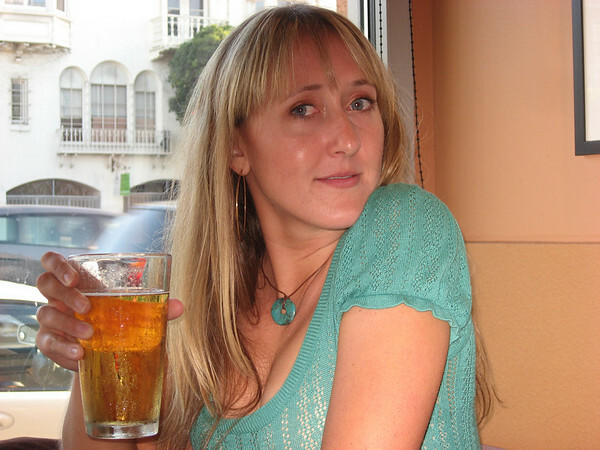 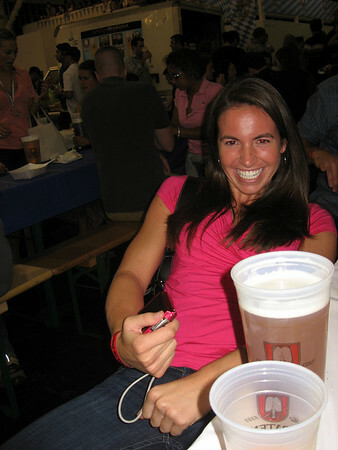 Adrienne sipping a beer as we wait for our food at Amici's before Oktoberfest by the Bay. 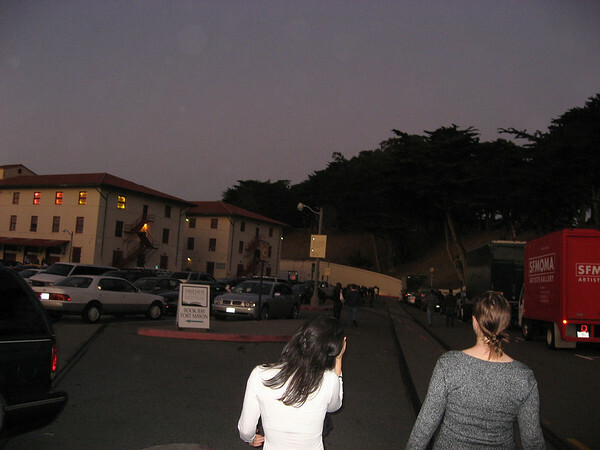 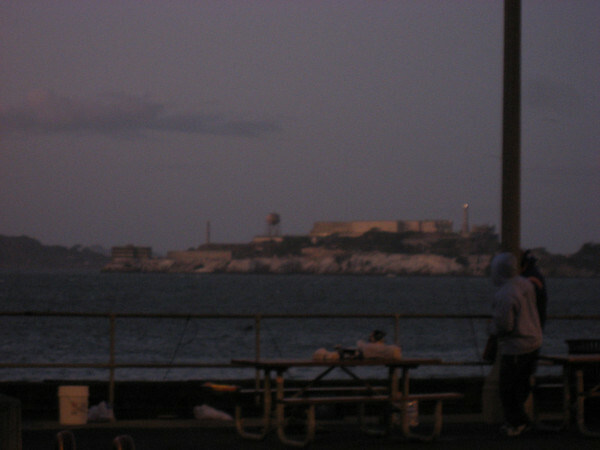 Walking to Oktoberfest by the Bay at Fort Mason. 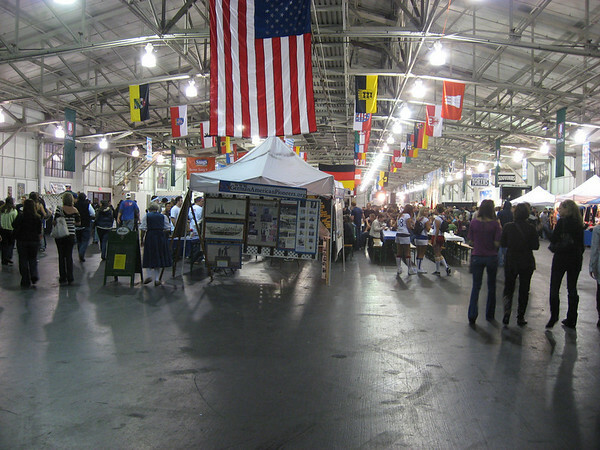 The entrance at Oktoberfest by the Bay. 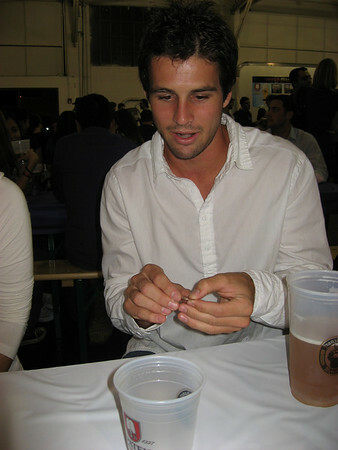 Danny showing off his Quarters skills while hanging out at Oktoberfest by the Bay. 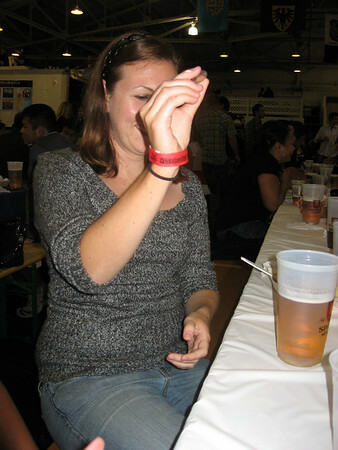 Kim trying to learn how to play Quarters at Oktoberfest by the Bay. 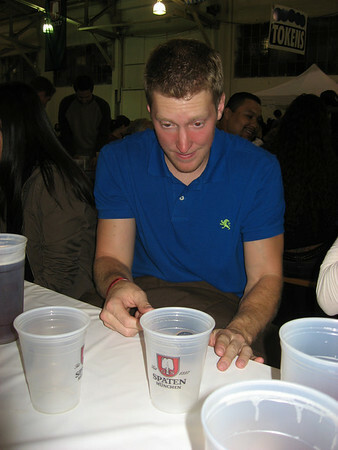 Robert just made his cup, playing Quarters at Oktoberfest by the Bay. 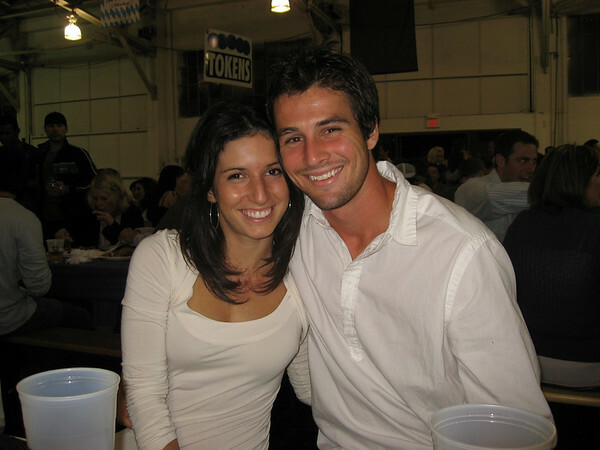 Angela and Danny being cute at Oktoberfest by the Bay. 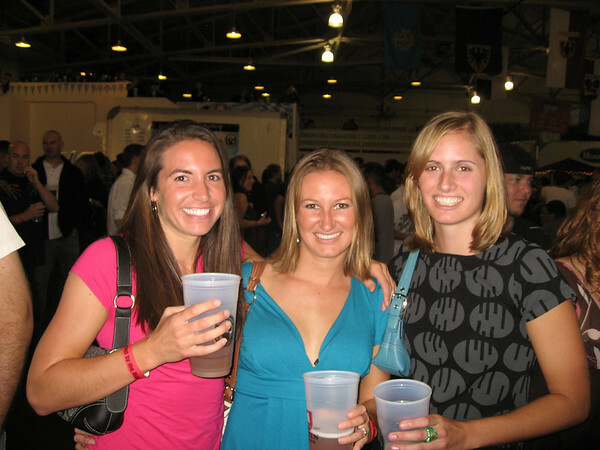 Kira, Julie and Stacy having fun at Oktoberfest by the Bay. 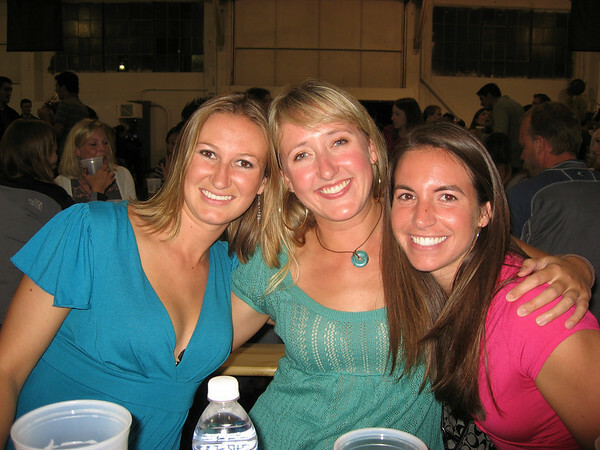 Julie, Adrienne and Kira being all cute at Oktoberfest. 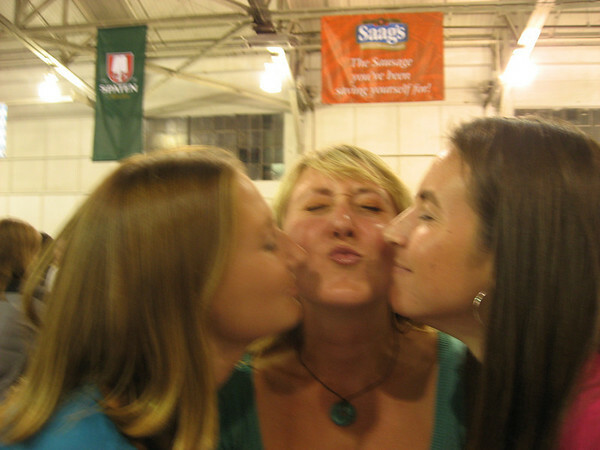 It appears that Adrienne wants a kiss, but actually Julie and Kira are smelling her chapstick. 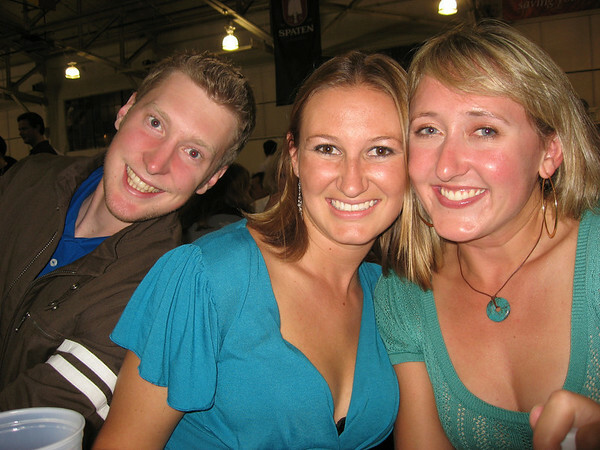 Robert sneaking into the picture of Julie and Adrienne at Oktoberfest. 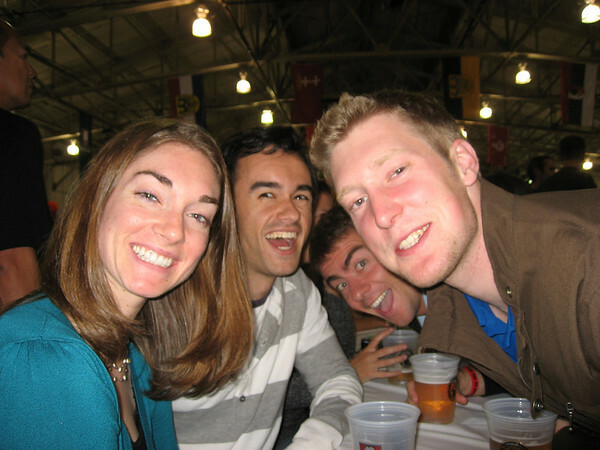 I was trying to take a cute picture of Jen and Kevin but Carl and Robert decided to poke their heads in.